HMD Global has teased the event dates for their upcoming products launch. It will be in Dubai on December 5 and we could see the launch of Nokia 8.1 and Nokia 9, both at the same event. 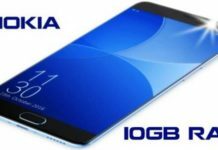 Nokia 9 is expected to be the first Penta lens camera smartphone by HMD Global why does one happens to be the successor of Nokia 8 which is already available in China as Nokia X7. Actually Phoenix is the code name for the Nokia X1 smartphone and also the recent case listing of it confirms it. 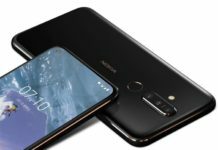 Nokia X7 will indeed launch as Nokia 8.1 globally. This smartphone by hmd is in human since a long time and everyone is waiting to see how will Nokia implement Penta lens camera on the device. According to previous really specs, the device could be coming out with 5.9 inch 3D glass OLED display. It will also have the in display finger print sensor and will be powered with Qualcomm Snapdragon 845 Mobile Platform.